Have you ever visited a bustling market abroad, discovered a freshly cooked, local delicacy, and thought 'I'd love to make that at home'? Tom Kime's world tour of fantastic food shows how to bring exotic flavours into your kitchen. Take your tastebuds on a global adventure and cook up 90 easy-to-follow recipes, from Chilean seafood empanadas to Moroccan hira bean soup. Pick up local cooking tips and techniques, and follow inspirational ideas for mixing a variety of dishes including fritters, mezze, tapas and kebabs, so you can serve up a truly global street food experience. Evocative, exotic and above all delicious, street food stirs, sizzles and surprises. 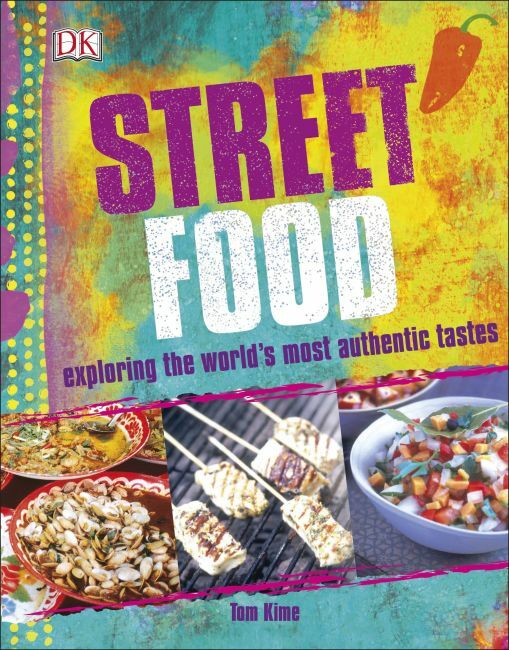 Tom Kime develops a taste for street food on his own doorrstep - on the streets of Southall's Indian community. He then travels around the world to countries renowned for their street food - Mexico, Lebanon, Malta, Vietnam. Back home he writes up the recipes to recreate the authentic tastes of his travels, using ingredients readily available here. Evocative narrative alongside each recipe recalls Tom's travels and where he tried each dish. He leaves you yearning - either to follow in his footsteps, or to start creating and eating his exotic offerings here - in your own kitchen.